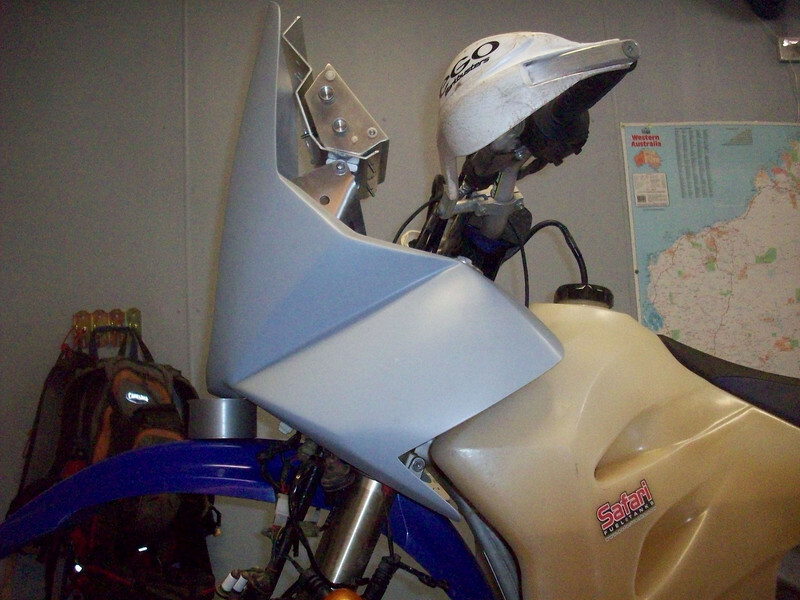 Discussion in 'Thumpers' started by Dr LC8, Oct 31, 2009.
can anybody suggest a fairing for my XR650L? The only I have found is the Africanqueens one: cool but bloody expensive! If you are looking for a windshield, do a search for XR650L windshield, in this forum and you will get a bunch of options. Here is one to start with. If you are looking for a full fairing I have no idea. You might have to make it yourself. Thanks, but they don't have any. What I am really looking for is a rally type of fairing. As I said the only I have found so far is the Africanqueensone, that is nice but very expensive! well your options are pretty much wicked expensive, or make it yourself. The exceptions that I have found were Kenaroo's(an american forum member) version and Cpwsafari's(an australian forum member) fairing. Neither are intended specifically for the xrl. You will have to do a bit of fitting. Alternately you could fit a brittania composites(http://www.britanniacomposites.com/) fairing. It isn't full rally style but is pretty close and your easiest option. That should get you started. I usually search with rally fairing, (or rallye) and can find some decent threads. Not a fairing, but here's a cheap option. We bumped into a guy named Charles (an inmate here, but who isn't?) who said he picked up a used ATV windshield for his XRL. Two zip ties and it fit perfectly. 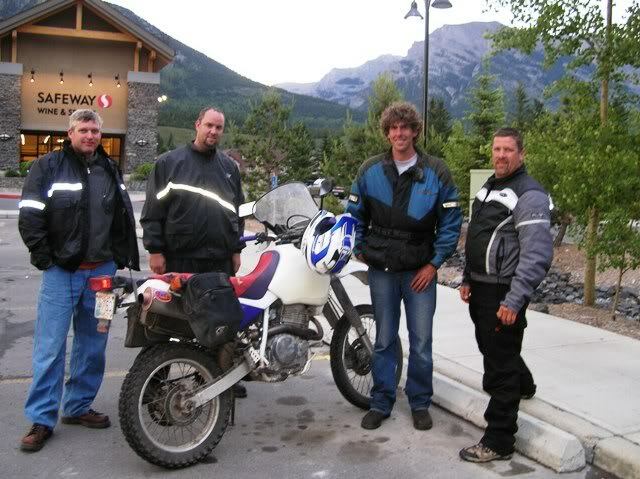 He'd ridden that bike 80k kilometers (across North America twice and around Australia). That bike is close to stock! Ouch. Here's some more pics of the CPW Safari gear. It's made to suit the KTM 530 with the Acerbis 20 ltr tank. The navagation tower, roadbook holder, fairing side stays and speedo mount. 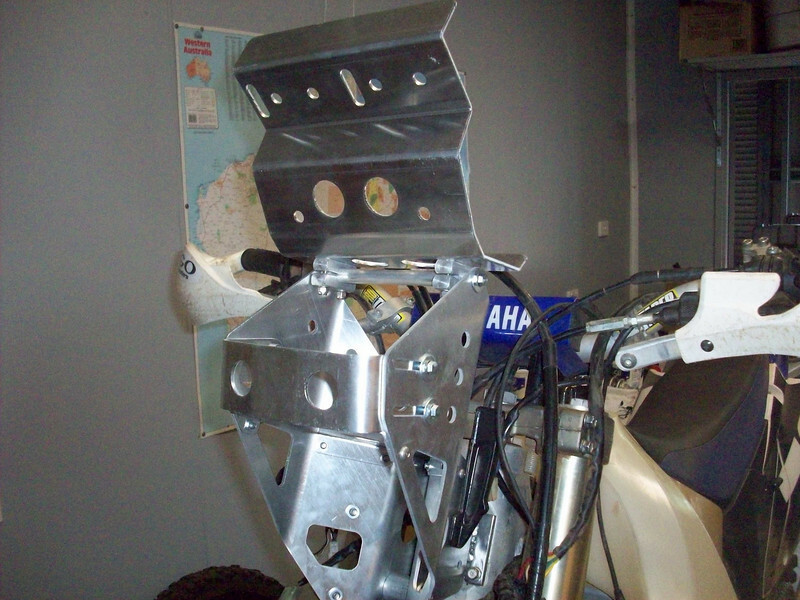 The tower mounted to the WR450, I had to make a bracket to attach it to the head stem on the bike. 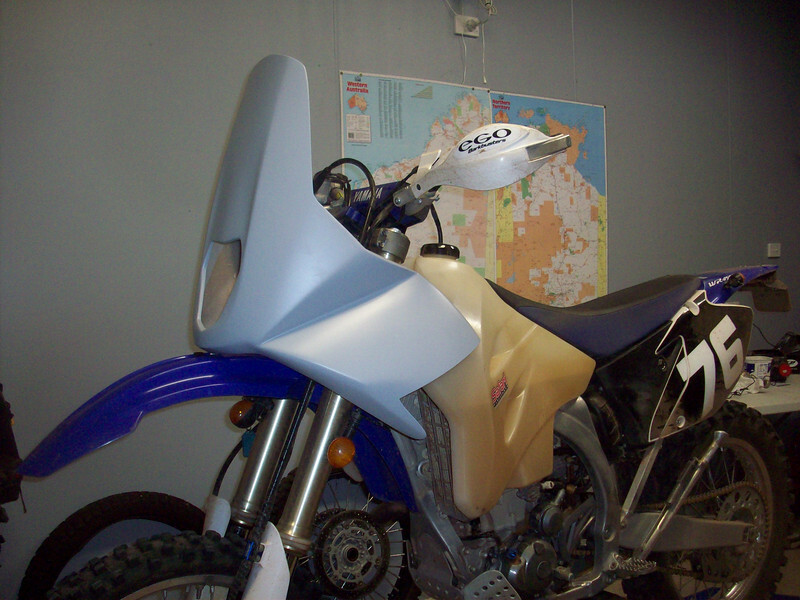 This is what it will look like when properly mounted, I might be able to move the fairing back about 10mm. I started messing around with this at the start of the year and thats as far as I've got. I realy should get around to finnishing it one day. I forgot about these guys. They might be a little closer to you. Bloodmouse and SqdHntr like this. What?! Who made that yvs? No kidding, and does it come in gray? fiberlique.com? Found it and inquired about shipping cost to USA. Comes unpainted. **They got back with me very fast. Approximately $100 USD shipping to the states. Very tempting. I've been emailing the guy (Yuri) for the last hour. Very cool guy. I actually have a DR650 but thought about maybe getting a kit for the XR and modifying it to fit my bike. The DR and XR are quite similar beasts. 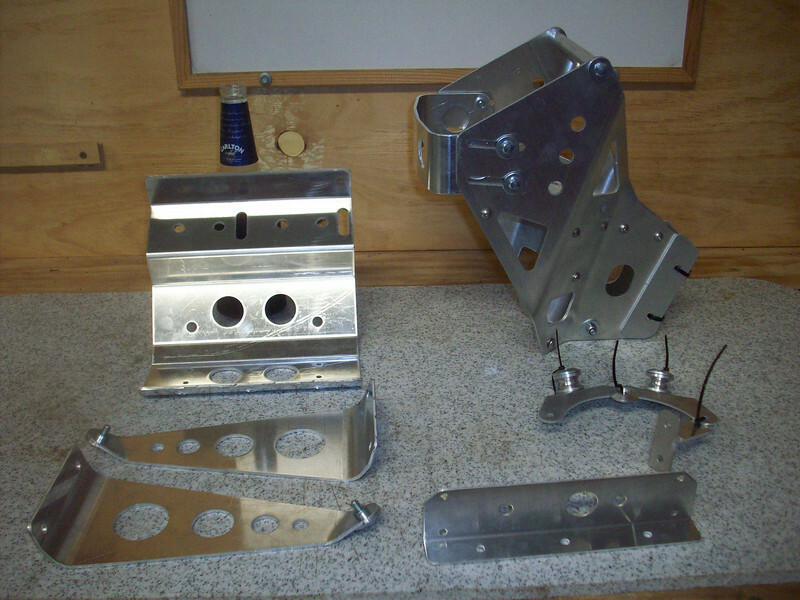 Turns out he is working on a kit for the DR too as soon as he can source a bike and Acerbis 5.3 tank. I haven't seen any of their work up close, but he seems eager to listen and please. Advrider site was not available for me (even throught the proxy) the time since I've posted XR650L kit pic to p.t., but now I it's ok.
Everybody, who interested this XRL kit or have a questions about another models - welcome! SqdHntr and Bloodmouse like this. I’d like to see some pics of how it’s mounted, please. Thanks. Jeez those fairings are tall. How do you see anything when seated or do you just ride everywhere standing?